It is no secret that Science Fiction fans can be a little over zealous with their love for the franchises that bring them so much Joy. Some times this goes to far and sometimes they hit it just right. This latest display of love, if you ask me, falls into the latter. Fans of Star Trek Disocvery have started a petition for a spin off focusing on the Pre Kirk days with Spok and Captain Pike. 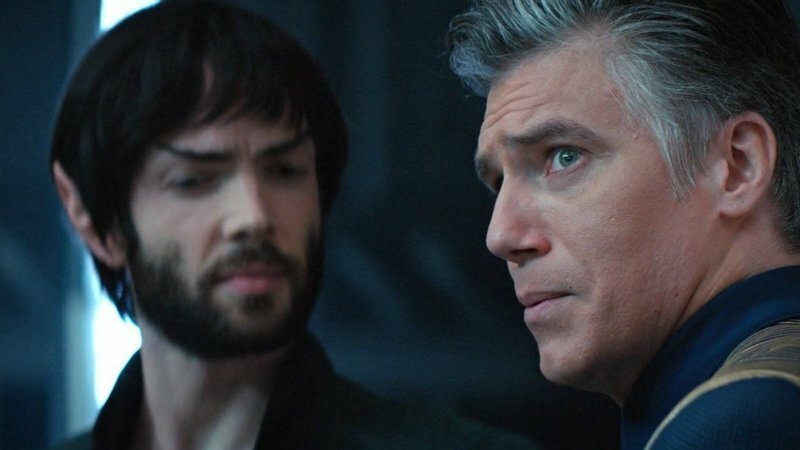 I can see why these two are so popular, both Anson Mount’s (Pike) and Ethan Peck’s (Spock) portrayal’s have been met with universal acclaim and I myself will be sad to see them both go. With Pike being the impeccable example of what a Star Fleet commander should be, there is no sleeping with alien’s, no speeches, just a man oi action as for Ethan Peck’s portrayal of Spok it has likewise been met with universal love. So if you are wanting to see more of these two fella’s then sign the petition and don’t forget to Live Long and Prosper.